When making a custom closet or storage design to fit your budget we consider your space, your style, and your budget. 1W2R offer wide range of finishes textures allowing you to select your ideal style. 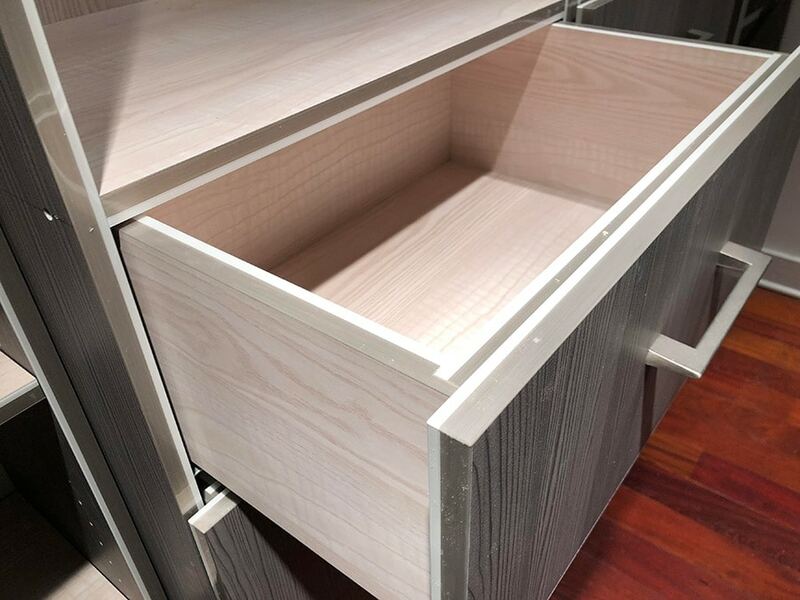 When making a custom closet or storage design to fit your budget we consider your space, your style, and your budget. 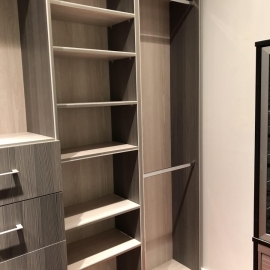 We can help you choose the right closet design that will close to match your existing interior layout. 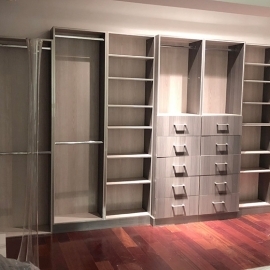 When choosing the right closet design requires measuring correctly so you don’t waste space. 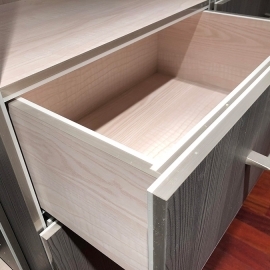 One of the main focal points of closet design to maximize storage space options. 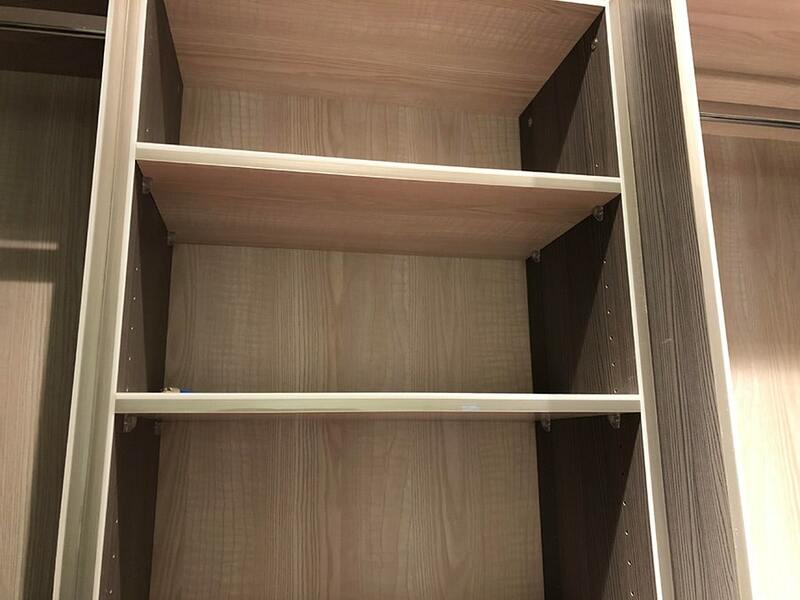 In a lot of situations the space you have to work with doesn’t allow prefabricated closet design option, It will require custom closet sizes. 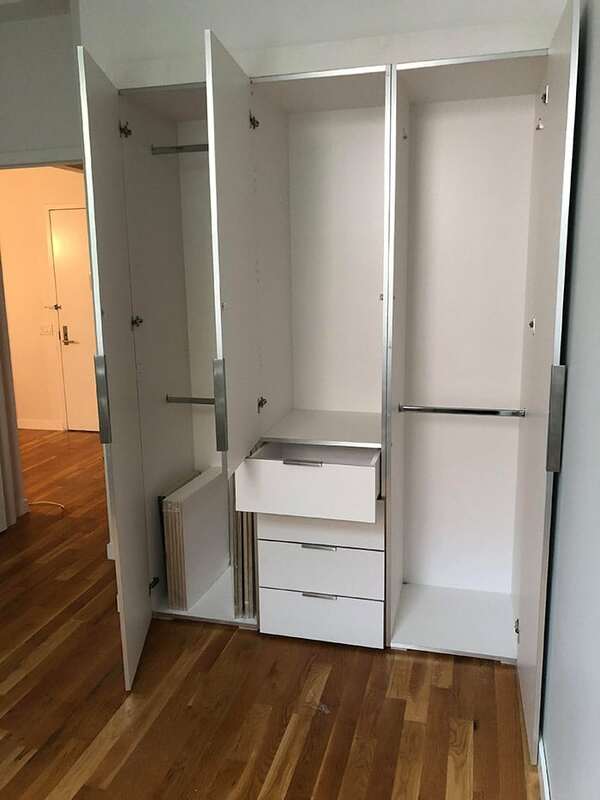 If your space is small and requires custom closet you’ll need to know your wardrobe and personal habits for example if you roll up socks they don’t require a lot of space, if you stacked fold up t-shirts it a better space-saving than hanging. It will depend on the style of clothing you wear. When custom designing closet space there are important things you need to watch out for; if you have a skylight up above the sunlight eventually can fade the clothings colour. Mold, mildew, moister, mold spores, and moths are your enemies. If you do have these issues we highly recommend small ventilation fan or even a dehumidifier into your plans. 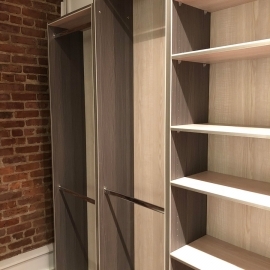 Freestanding closets is an option when you don’t have built-in closet space to work with. 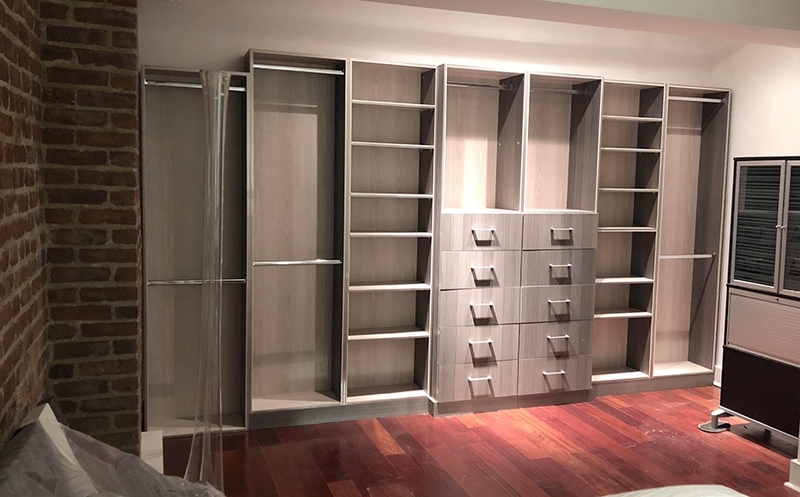 There’s a positive look on getting free standing closets you can take it apart, move it to a different location, and you can expand or deduct to fit your living space. 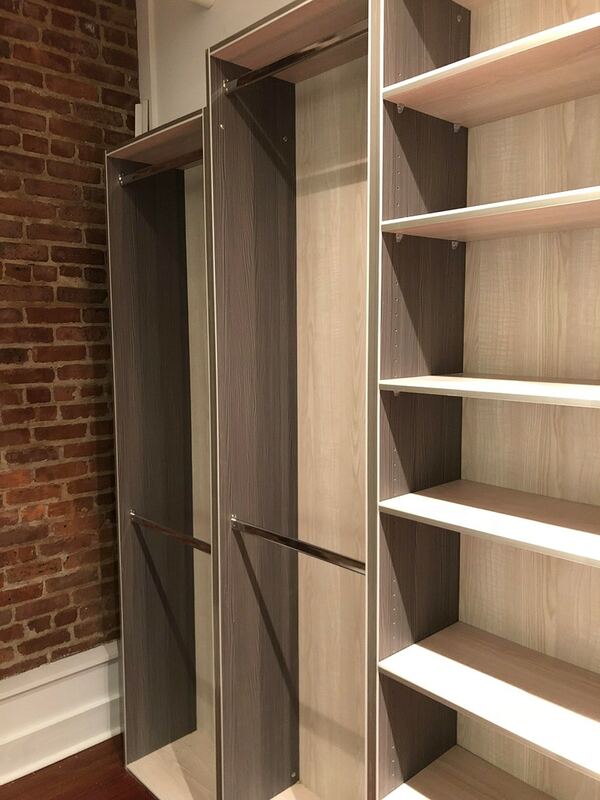 Freestanding closets you can customize height, width, and depth. 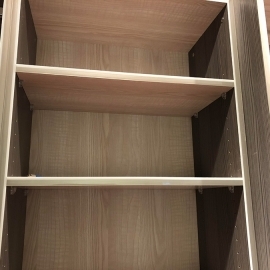 We offer different wood finishes for freestanding closets. 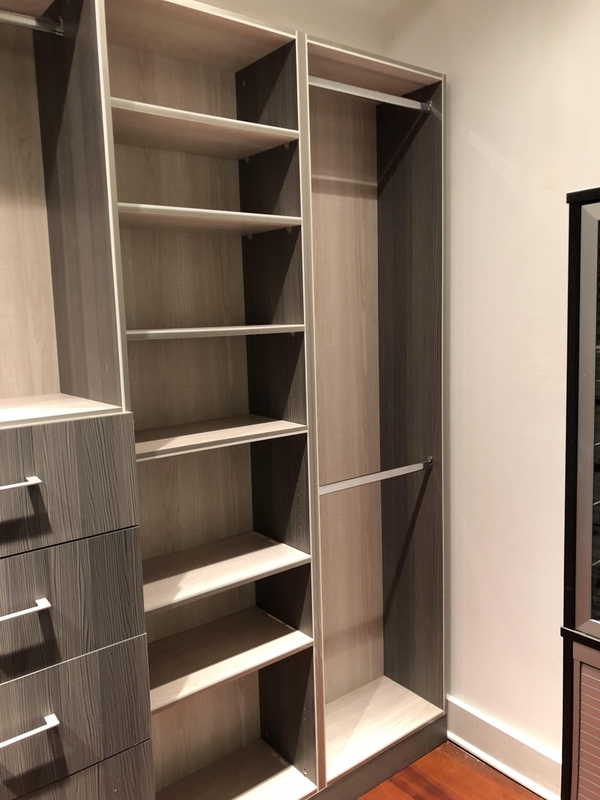 Choosing the right closet by design we suggest to provide us with pictures of the existing space so we can help you choose the right style and colour. 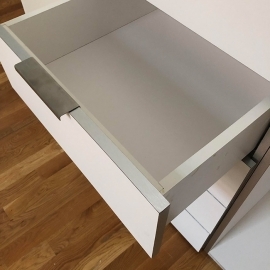 Closet by design in some cases requires unique custom hardware to function properly and to utilize the space in some case from floor to ceiling. 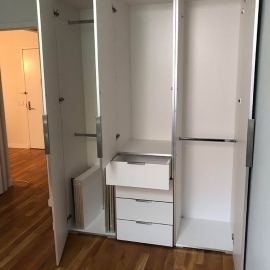 How big of a walk-in closet do you need? Does your walk-in closet require a lot of space for shoes? 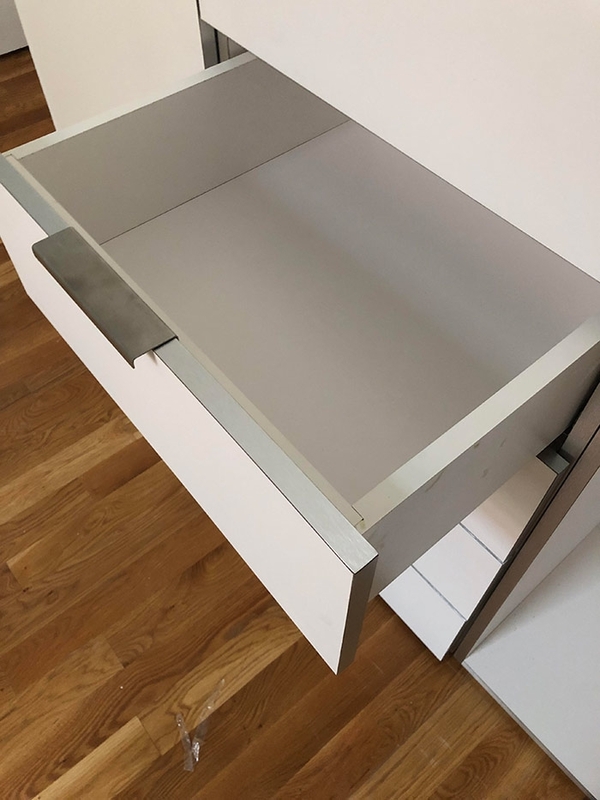 1W2R offers a slidable overlapping shoe shelving units so you can save more space for the hanging, folding and drawers if needed.